What is it with people and cartoons? We've had people claiming that the Cat in the Hat is a coded symbol for the takeover of the world by the Illuminati. A Saudi imam issued a fatwa against Mickey Mouse because "the mouse is one of Satan's soldiers." The Vatican looked gave a serious look into whether or not the Simpsons are Catholic. A French academic published a paper making the claim that The Smurfs is communist propaganda. There was an outcry by the seal-the-borders cadre here in the United States when it was revealed that Dora the Explorer might be an illegal immigrant. 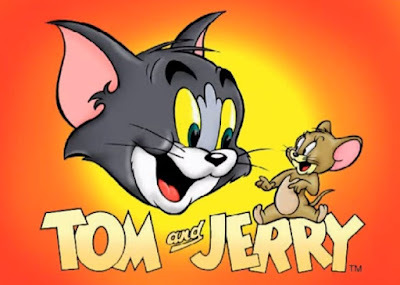 [Tom & Jerry] portrays the violence in a funny manner and sends the message that, yes, I can hit him … and I can blow him up with explosives. It becomes set in [the viewer’s] mind that this is natural... The cartoon conveys negative habits like smoking and drinking alcohol, teaches children that stealing is normal, distorts the concept of justice, and helps children invent sinister plans using sharp instruments such as chainsaws. Okay, can we just get one thing straight right from the outset? Cartoon characters are not real. Because of this, I do not expect the world to be like an episode of Scooby Doo. Although I have to admit that it would be easier in a lot of ways if it did. Then all we'd have to do is to pull the masks off of the Koch brothers, and it'd turn out that they were actually the carnival owners, and they'd have gotten away with taking over the government if it hadn't been for You Crazy Kids and Your Flea-Bitten Mutt. Also, most children are perfectly capable of telling cartoons from real life. I grew up watching Looney Tunes, and I never once thought it'd be a clever idea to drop an actual anvil on anyone. I was aware right from the outset that if you shoot a gun in someone's face, it doesn't simply blow their nose around to the other side of their head. I knew that I couldn't paint a picture of a tunnel onto a wall, and then run down it like it was real. 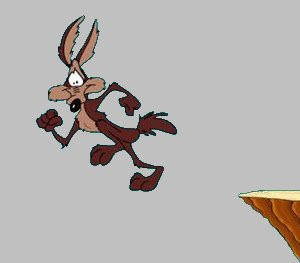 Further, I understood that if you step off a cliff, you will fall right away, not wait until you notice that you're in mid-air. In other words, I got that there's a difference between cartoons and real life, a distinction that seems to have escaped Salah Abdel Sadek. Of course, there's another reason that he's making the claim. Blaming the problems in the Middle East on a pair of (Western) cartoon characters makes it easy to ignore the more troubling reality -- that extremism isn't going to be as easy to fix as telling your children to turn off the television. In order to do anything substantive about extremism, you have to acknowledge the role of poverty, sectarianism, and the preaching of religious intolerance, all three of which the Egyptian government is reluctant to address. That would require doing something difficult, such as addressing wealth inequity, legislating equal treatment under the law for all races and religions, and squelching the Muslim clerics who shriek about jihad against those who are "insulting Islam" by virtue of holding other beliefs. Easier to blame a fictional cat and mouse, isn't it? So there you have it. All this time and money and effort, and to end the violence all we had to do was cut subscriptions to The Cartoon Network. It'd be nice, wouldn't it? Just shutting something off makes it go away. Unfortunately, the world doesn't work that way. I know. I've been trying that with Ann Coulter for years, to no avail.